Raiders let go of Dennis Allen..
Post subject: Raiders let go of Dennis Allen.. Doesn't it feel good knowing we got another coach fired? Time for Tony Sparano to reignite the Raiders, Janakowski is going to quite a fantasy pick up in the coming weeks haha. Post subject: Re: Raiders let go of Dennis Allen.. 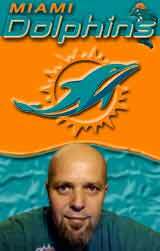 I put money down that this dude would be the first head coach canned this season right after the win...easy money. Is Sparano with the Raiders now? Oak reporting that Tony will not be interim HC.. Raiders named OL coach Tony Sparano interim head coach. Sparano, who coached the Dolphins from 2008-11, gets the nod over OC Greg Olson. Olson has no head-coaching experience. A Bill Parcells disciple, Sparano is now most (in)famous for his Wild Cat flirtations with Tim Tebow in New York, but he should be a solid guiding hand for the final 12 games of the season. We wouldn't consider him a strong candidate for the full-time gig, but the Raiders have a knack for making poor decisions. We wouldn't rule anything out. IMO its a better move than going with the OC or DC.... Sparano knows the basics of being in that position.